Politically he makes some good points. It's nice to hear Andrew speak openly on his religious opinions even if I don't always agree with them. Ep. 688 - Call Things By Their Right Names! Ep. 683 - Why No Bump for Trump? Ep. 681 - Will The U.S. Become Socialist? Ep. 680 - Apologize, America! Ep. 669 - Why Do The Worst People Run the Country? Ep. 663 - It's the End of Trump Again! Ep. 657 - What Does Jussie Want? This is Another Kingdom. Written by Andrew Klavan, performed by Michael Knowles Austin Lively finds himself backed into a corner with guards charging to kill him and only his sword and armor to help him survive! From Apple to the FBI, the age-old equation of power and corruption has infected the left with smiley faced fascism. Plus - pack up your troubles in the old Mailbag. Women dump their husbands, journalists dump their principles, left and right babble like children — Trump drives people crazy by reflecting their own failures back at them. Ep. 617 - Where Have You Gone, Jim Acosta? Andrew Klavan and Michael Knowles discuss the creation of Another Kingdom and where the story is going to go next in this exclusive interview! This is Another Kingdom. Written by Andrew Klavan, performed by Michael Knowles. Austin stumbles back into Horror Mansion and realizes he is trapped in a scene from a movie that he must play out in order to escape. Ep. 612 - Can You Save Us, Britney Spears? That's the big question as CNN hero lawyer Michael Avenatti gets busted for allegedly beating up a woman. Another Kingdom | Season 2 | Ep. 6: "He Bought Me"
This is Another Kingdom. Written by Andrew Klavan, performed by Michael Knowles. Austin laments his emotional turmoil as he races to escape the pursuing dragon, yet takes comfort in the words of Queen Elinda, the author of Another Kingdom. Ep. 604 - Is Trump Racist? This is Another Kingdom. Written by Andrew Klavan, performed by Michael Knowles. Austin flees from the evil wizard and takes refuge with a beautiful woman. Ep. 603 - So. Much. Crap. This is Another Kingdom. Written by Andrew Klavan, performed by Michael Knowles. Austin Lively receives a warning and an ominous message from the face in the pool. Ep. 599 - Media Brainstorm: Trump is Literally Hitler! Ep. 597 - Mobs, Illegals, Transgenders and Saudis! This is Another Kingdom. Written by Andrew Klavan, performed by Michael Knowles. Despite his best efforts, Austin Lively is whisked back to the cave of sacrifice where he must fight a vicious beast that's trying to stop his escape. Ep. 595 - Will Americans Be Bullied into Silence? 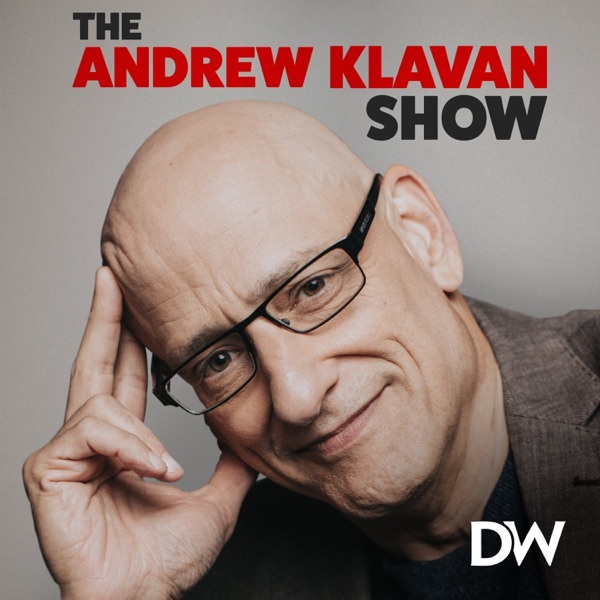 It’s our latest episode of The Conversation, and this month you’re speaking with THE Andrew Klavan! Subscribers, ask your live questions here, and Drew will answer them and as you know, his answers are guaranteed to change your life. Also, tune in for next month’s episode featuring Michael Knowles! This is Another Kingdom. Written by Andrew Klavan, performed by Michael Knowles. Austin Lively, amidst new dangers in Galiana, meets a repulsive beast. In California, Austin searches for clues to lead him to Riley and is reminded of a dark event from when he and his sister were children. This is Another Kingdom. Written by Andrew Klavan, performed by Michael Knowles. Our hero Austin Lively is back and on a search in California for his missing sister, Riley, with a murderous henchman at his heels. In the hallucinatory other world of Galiana, Austin crosses the dangerous Eleven Lands to find the emperor Anastasius. Andrew Klavan Show Special: Can The Right Win The Culture War? Ep. 590 - Trump Finally Apologizes for Something: Democrats! Ep. 588 - Democrat Disaster? Ep. 583 - Who Stands for America? Ep. 578 - Well Played, Slimy Democrats! Ep. 571 - Who's Dysfunctional??? Ep. 550 - Trump or Media: Who is the Enemy of the People? Ep. 549 - Donald Trump's Trade War on European Union Actually Worked!? Ep. 545 - Donald Trump or The Left - Who Helps Putin More? Ep. 538 - Why Are Leftists Such Thugs? Ep. 534 - Mmm, Leftist Tears! Ep. 530 - Did Trump Just Outsmart, like, Everybody? Ep. 529 - You Can't Make Laws Here! It's the Legislature! Ep. 528 - What About the Children??? Ep. 515 - Trump Moves the Football to the Right - Plus Mike Rowe Joins! Ep. 505 - Iran and Obama Lied - And Babylon Bee's Kyle Mann Stops By! Ep. 501 - Are We Still a Moral Nation? Ep. 495 - Gays, Guns, God - What Do Conservatives Want? Ep. 491 - Is Racism Even a Thing? Ep. 489 - Is Mexico Invading? Ep. 487 - Is This Roseanne's America? Ep. 483 - Democrats to America: Don't Speak! Ep. 481 - Has Freedom Lost Its Way? Ep. 478 - Democrat Ahead in PA — Everybody Panic! Ep. 475 - It's Women's Day, Let's Have Sharia! Ep. 474 - Is The White House Really in Chaos?